With a name like bottom rot, you just know it isn’t going to end well. Bottom rot is a fungal disease of lettuce and other leaf vegetables, caused by the Rhizoctonia solani fungi. This is the same fungi that causes damping off disease. These fungi live in the soil and are a big problem in warm, moist conditions. In addition to lettuce, bottom rot can wipe out your Chinese cabbage, escarole, broccoli, radish, collards, Brussels sprouts, cauliflower, and turnip crops. The Rhizoctonia solani fungus also attacks potatoes, onions, beans, and corn. At first, all you may see is some wilting of outer leaves. Closer inspection will show reddish-brown, sunken lesions on the midribs of leaves that are touching the soil. Brown or white fungal tissue may be visible and lesions may discharge a light brown ooze. Leaf spots and brown lumpy bits may also be present on the plant and in nearby soil. The fungus grows inward, toward the center of the head or body of the plant. The damaged plant tissue then becomes susceptible to other soft rots, causing total collapse of the plant. As with all bottoms, keep them dry and they will be happy. If you have never tasted a stevia leaf, you probably won’t believe the level of sweetness this herb provides. It just doesn’t seem possible. A single, delicate green leaf placed on the tongue does nothing. Start chewing and you’d swear you just downed a spoonful of sugar! Let’s find out if this is a plant you can add to your garden or foodscape. Native to Paraguay and the surrounding tropical regions, stevia (Stevia rebaudiana) is also known as sweetleaf. Stevia is the model used to create several ‘natural' sweeteners, except that most of them are not what we gardeners would think of as natural. The majority of these stevia plants are grown in China and the leaves are so highly processed that there is little left besides the sweetness. [Being 200 times sweeter than sugar, stevia packs a powerful sweetness punch, processed or not.] Using the unprocessed leaves as a sweetener, on the other hand, adds several different compounds, called glycosides, plus antioxidants, and we all need those! Being a tropical member of the sunflower family, stevia loves the heat. This tender perennial prefers USDA Zones 9 - 11, and is grown as an annual elsewhere. Stevia grows best under the same conditions as basil. Like basil, stevia needs some protection from the high heat of our California summer. Plants can reach 1 to 4 feet high and wide, depending on temperatures and the local microclimate. Stevia plants can be grown from seed, but results are hit-and-miss, as germination is tricky. If you decide to try your hand at seed starting stevia, begin indoors, 8 to 10 weeks before your last frost date. Seeds germinate best at temperatures between 68 and 75°F. Fill pots with a light potting soil or peat mixture. Press seeds into the soil and cover with perlite. This will protect seeds from the air and help the soil retain moisture, but provide seeds with the light they need to germinate. To avoid flooding seeds into the corners, water by misting heavily, at first. Like peppers, stevia plants benefit from the use of a waterproof germination mat. This gives them the heat they need to get started. Cover the pots with plastic and check twice a day to ensure that the top 1/2-inch of soil remains moist until germination occurs, which should take 10 to 15 days. Stevia needs well-drained soil. This makes them an excellent choice for large containers or raised beds, where high quality potting soil provides plenty of macropores and micropores in the soil. During summer heat, these plants need almost daily watering. Allow the soil to almost go dry before watering again. If you allow your stevia plants to go to seed, you can collect seed heads or let them grow where they fall. If you collect the seeds, discard light-colored specimens, as they are probably not viable. Most often, new plants are started from rooted cuttings. Outside of greenhouses, cutworms and sugar addicts are stevia’s only serious threats. In close quarters, aphids, whiteflies, and thrips can can become a problem. You can use stevia leaves fresh from the plant or you can harvest and dry them for later use. The sweetness remains unchanged in either case. Leaves are at their sweetest just before flowering. Once the plant flowers, leaves do not taste as good or as sweet. Each plant can provide you with approximately 1/2 pound of dried leaves each year. Before adding even more sugar to your diet, how about adding stevia to the garden, instead? Earworms. Those songs that get caught in our mind and play over and over and over… These are not those earworms, but they can be just as annoying. You don’t grow corn, you say? Don’t think that your garden plants are off the hook, just yet. The larval form of the corn earworm (Helicoverpa zea) goes by several names, such as cotton bollworm and tomato fruitworm. Tomato?!!? Yes, this is the dreaded tomato fruitworm. And these innocuous-looking moths can migrate as far as 400 km (or nearly 250 miles) to get at many favorite garden plants, including melon, beans, spinach, soybeans, peas, okra, squash, and sweet potato. Eggs are spherical and slightly flattened, with ribbed lines running from end to end. They look a lot like cabbage looper eggs. Larva start out a creamy white color, with a dark head. They have distinct, sparse hairs (tubercles) with dark spots. As the larva feed, the color changes to greenish-yellow to nearly black, depending on the food supply. Fine white lines can be seen along the body. The hairs and the spots remain. On some individuals, stubby bristles or spines can be seen with a hand lens. Tiny pale green eggs turn creamy white, and then yellowish or grey. They are laid singly on upper and lower surfaces of leaves, leaf hairs, and on corn silk. They develop a reddish-brown ring within 24 hours. Eggs darken in color just before hatching, usually less than 72 hours after being laid. Larvae go through 4 to 6 instars, or developmental stages, all the while feeding heavily. In fact, corn earworm larvae are a brutal bunch. In addition to attacking your tomatoes, they will also attack and feed on other insets, especially butterfly and moth larvae, including their own kind. After 12 to 16 days, the larvae enter a pupal stage. If the soil is moist enough and temperatures are warm enough, an adult moth will emerge to begin the cycle again. A single adult female corn earworm moth can lay up to 2,500 eggs in her lifetime. Adult moths feed on nectar and pollen, but they are not the problem. It is the larval stage that causes all the damage. Being polyphagous, corn earworm larva eat many different things. And you won’t even know they are there until it is too late, unless you look very closely. The larvae feed inside the fruit, so it’s not until you cut into it or take a bite that the pest is discovered. Yuck! Also, larvae may move from fruit to fruit, leaving behind a wake of squishy, watery digested insides filled with frass and shed skins. 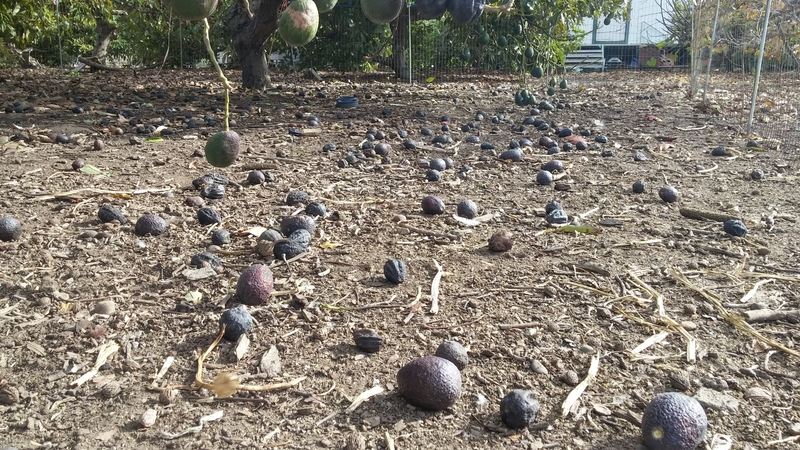 Damaged fruit tends to ripen prematurely and the feeding action makes plants susceptible to other problems, including fungal diseases and mold growth. Because the larvae are inside the fruit, control is difficult. *Egg parasitism appears as tiny holes in the shell, and the eggs are often flatter than normal. This is because parasites have laid their eggs in the corn earworm eggs, and the parasite babies eat the moth larva. Farmers also use commercially available parasites and deep ploughing to combat the corn earworm, but these methods are not relevant to the home gardener. The parasites (Trichogramma pretiosum) are not available over-the-counter, and deep ploughing damages the soil microorganisms that help our plants thrive. Monitoring plants regularly for signs of eggs of young larvae can help you protect your tomato, corn and other garden plants. Did you know that plants use the saliva of their attackers to figure out which defense chemicals to produce? Young sunflowers track the sun across the sky, reaching new heights with every passing day - except, sometimes they don’t. Sometimes, a small injury can become infected and a black rot spreads around the base of the flower, finally engulfing it in a black goo that dries and hardens into a smelly shadow of what might have been. What causes this, and can it be prevented? Head rot, also known as pin rot, is a disease of sunflowers, lettuce, and broccoli, caused by the Pectobacterium carotovorum, subsp. carotovorum and P. atrosepticum bacteria. The first symptom of bacterial head rot is nothing more than a small, brown, greasy or water soaked looking area on the surface of a cluster of unopened flowers or leaves. These lesions are usually seen at the sight of mechanical injury caused by bird and insect feeding, hail, or falling twigs. Bacteria enter the damaged tissue and that’s where the infection begins. Affected areas turn from brown to black as the infection spreads into surrounding plant tissue. There is a distinctly bad smell, similar to rotten potatoes, but it is rare for secondary fungal growths to occur when head rot is present. If the bad smell is absent and other bacterial and fungal infections are present, the infection is more likely to be caused by Alternaria fungi. Cool winter and spring temperatures combined with prolonged periods of rain, fog, and dew provide the perfect medium for bacterial head rot pathogens. This means good air circulation between plants can go a long way toward preventing this disease. That’s a good thing, because chemical sprays and other treatments have not been consistently effective in preventing bacterial head rot. The best way to prevent this problem in your garden is to start with resistant cultivars, such as broccoli with dome-shaped heads, space plants properly, and avoid overhead watering. A cloche can protect young plants from cold, wind, heavy rain, and many small pests. Similar to the women’s hat of the same name, a cloche is generally bell-shaped, but it doesn’t have to be. Early cloches were glass jars or boxes, placed over young plants to protect them from cold, frost, wind, and heavy rain. First used in France, cloches became popular throughout Europe in the mid-1600’s to provide restaurants and the wealthy with out-of-season produce. These jars were often ornate and delicate. Cloches allow gardeners to get a head-start on the growing season. Greenhouses and cold frames work the same way. Modern cloches are mostly made out of plastic, and have largely been replaced with row covers. Small scale gardeners can still make use of more attractive, repurposed materials to protect young seedlings from the elements. Solid-bodied cloches can provide protection for tender plants against caterpillars, snails, aphids, and many other pests. For a cloche to be effective against chickens, squirrels, and other larger pests, it has to be very sturdy and anchored in a way that can withstand repeated attacks. While there are many sizes and shapes of cloche available for purchase, you can easily make your own. The most common DIY cloche suggestion is to use soda bottles or milk jugs by cutting off the bottom of the jug and using the lid to ventilate the cloche. The only problem with these ideas is that they add even more plastic to your garden soil. ​Heat-loving plants, such as tomatoes, peppers, basil, and eggplant, get a much better start when protected with a cloche early in their development. Seeds or seedlings can be placed under a cloche after the soil has been watered. Most of the moisture will stay trapped in the cloche, but occasional waterings will still be needed as the plant grows. Because a glass cloche holds heat and air within, it can get too hot and too humid for your young plant. Occasional venting is necessary. To do this, simply slide a piece of wood or a rock under one edge of the cloche to increase air flow. In the evening, before temperatures start to drop, remove the prop and allow the cloche to sit flat on the ground again. If your cloche is made with fabric, venting is not needed. Once the plant outgrows the cloche, simply store it for another season or use it on another, smaller plant. Cloches can also be used to help sensitive perennials make it through winter. Heliotropism refers to a plant’s ability to track the sun’s movement. For many centuries, it was believed that a plant’s tendency to follow the sun as it crossed the sky was a passive action caused by water loss on the side of the plant exposed to sunlight. Now, we know that there is far more to it than that. Experiments conducted in the 1800’s demonstrated that plants will respond to any type of light: street lights, grow lights, or sunlight. When plants are attracted to this light, it is called phototropism. Phototropism is a function of the hypocotyl, or individual cells found in the same region. Hypocotyls are the embryonic stem found below the seed leaves (cotyledons) and directly above the root. You can easily see examples of phototropism when seedlings first emerge and they don’t get enough sunlight - they become leggy and lean toward whatever light they can. This is phototropism. In heliotropism, not any old light source will do. It is only radiation from the sun that causes the reaction. And the mechanical causes of these two types of movements are very different. When plants move in response to the position of an external stimulus, it is called a tropic [TRO-pic] movement. If a plant’s movement is independent of the stimuli’s position, it is called a nastic movement. In phototropism, plant hormones (auxins), found in the meristem tissue of leaf and stem tips, photoreceptors, and multiple signaling pathways are used to direct a plant to grow more rapidly toward sunlight. In heliotropism, a structure called the pulvinus is used to direct movement. The pulvinus is an amazing, fluid-controlled joint found at the base of a plant leaf stem (petiole) or just below a flower. The pulvinus causes movement by altering fluid pressure in the surrounding plant tissue. These changes in fluid pressure start when sucrose is moved from the phloem into the apoplast. The apoplast is the conjoined spaces between plant cells. As sugar is pumped into the apoplast, potassium ions are pushed out, followed by water molecules. This changes the pressure within the affected cells, causing movement. This is called turgor-mediated heliotropism. But not all heliotropic flowers have a pulvinus. Those that do not are still able to move by permanently expanding individual cells. This is called growth-mediated heliotropism. Pulvini are also used in response to nyctinastic and thigmonastic movements. Heliotropic flowers face the sun from dawn to dusk. Slowly tracking the sun’s path across the sky, these flowers are believed to use heliotropism as a way to improve pollination, fertilization, and seed development. Heliotropic flowers often have five times as many beneficial insects present, due to the added warmth. [Many tropical flowers exhibit a modified form of heliotropism in which flowers maintain an indirect tracking of the the sun. This is believed to reduce the chance of potential overheating.] Beans, alfalfa, sunflowers, and many other species turn their blooms to follow the sun’s path across the sky each day. But sunflowers only use heliotropism in their early development, in the bud stage. Once a sunflower head emerges, it may track the sun for a short time, as an expression of phototropism, until the flower head reaches full size. The majority of sunflowers found in the northern hemisphere nearly always end up facing east. Like floral heliotropism, leaf heliotropism is the method by which plants focus their leaves perpendicularly to the sun’s morning rays (diaheliotropism), or parallel to midday sun (paraheliotropism). Diaheliotropism allows leaves to capture the maximum amount of energy from the sun, while diaheliotropism protects plants from overheating and dehydrating. How do your plants move during the day? What bottle of wine would be complete without its cork? The same is true of most trees. Everyone knows that trees and woody shrubs are made of wood, surrounded by bark. But there’s a lot more going on in those outer layers than meets the eye. The bark you see protecting the living wood of a tree is made up of dead plant cells. This layer is called the rhytidome. The reason these cells are dead is because the cork layer cuts them off from the tree’s resources. Bark is made up of three basic layers. The inner layer, or phloem, is a living part of a tree’s vascular system. Manufactured sugars ‘flow’ down the phloem to feed the rest of the plant. The middle tissue, or cortex, is made up of porous tissue that stores and transports carbohydrates, tannins, resins, and latex. The outermost layer of bark is called its periderm. The periderm is also made up of three layers: the cork, cork cambium, and phelloderm. Cork (phellem) is produced by a specialized layer of cambium tissue, known as the cork cambium, or phellogen. This cork cambium layer is only one cell thick and the cells divide in parallel (or periclinally) toward the outside of the tree. In some trees, the cork cambium layer also produces cells towards the inside of the tree. These inner cells are the phelloderm layer. Cork keeps wine safe from the elements because it is impermeable to gases and water. Because of the cork, your wine stays where it is and (as long as the cork remains intact) will only grow better with time. The cork of a tree also blocks air and water. Cork is able to keep trees and wine safe from the elements, along with insects, bacteria, and fungal disease because it contains suberin. Surberin is a waxy material that creates a protective barrier. This barrier also blocks water and gas exchanges between the outermost layers of the tree killing the epidermis, cortex, and secondary phloem. This is the bark you see. Trees and shrubs also use cork to cut off an unwanted body part (leaf, diseased twigs, mature fruit) from the rest of the plant. This is called abscission. Most fruits hang in their own singularity: apples, oranges, and apricots are common examples. Other fruits, such as grapes, form clusters. Still other fruits are formed when a group of flowers merge to create a fruit. Soroses are that type of fruit. In nearly every piece of literature you see, pineapples are listed as a common example of sorosis, but this is incorrect. I don’t know why they do this. If you look at a mulberry flower cluster, you will see several flower buds held tightly together. Each of these individual flowers open up, awaiting pollination. If you look closely, you can see tiny fruits at the base of each flower. Each of these fertilized fruits will develop around the stem that they emerged from in the first place. This is unlike pineapples, which include the receptacles and flower parts in their fruit development. While mulberries may appear to have the same structure as blackberries and raspberries, botanically, they are quite different. Raspberries and other members of Rubus are made up of several drupes (a type of fruit) that are clustered around and attached to a dry thalamus. All of the drupes in a single fruit are made from a single flower. In mulberries, and other soroses, each rounded bit is its own fruit, formed from its own flower. It won’t make any difference, as you enjoy a fig, some pineapple, or a mulberry, but now you can impress your friends with this fascinating word! ​Some garden words are fun to say. Schizocarp [ˈskitsōˌkärp] certainly qualifies. A schizocarp is a type of dry fruit that splits into single-seeded parts, called mericarps, when ripe. Each mericarp is made from its own carpel. [A carpel is the female reproductive parts of a flower, including an ovary, stigma, and usually a style.] Mericarps can be dehiscent, which means they split open when ripe, or indehiscent, which means they stay closed. The seeds of carrots, celery, coriander, anise, dill, parsnip, and other umbellifers are all indehiscent schizocarps. Hibiscus (Malvaceae), mallows and cheeseweeds (Malva), false mallows (Malvastrum), and wireweed (Sida acuta) fall in the same category. Members of the Geranium genus produce dehiscent schizocarps. [These are not the garden variety geraniums, which are another genus altogether (Pelargonium). I know, I know, it gets confusing.] True Geranium species include the cranesbill, horns’ bill and filaree plants that produce needle-shaped schizocarps that twist and gyrate into the soil (and were fun to play with, when we were children). Maple trees produce winged schizocarps, called samaras. ​Unlike the juicy fruits we enjoy each summer, or the dried caryopsis of cereal grains, plants that produce schizocarps have found that procreation works best when each flower produces a number of independent seeds protected by a dried fruit coating. If older leaves on cucumber, melon, or squash are turning yellow and leathery, the plants may be infected with cucurbit aphid-borne yellows. This viral disease is transmitted by the cucurbit aphid-borne yellows luteovirus (CABYV). Luteoviruses are a genus of viruses that use plants as hosts, and are transmitted by aphids. 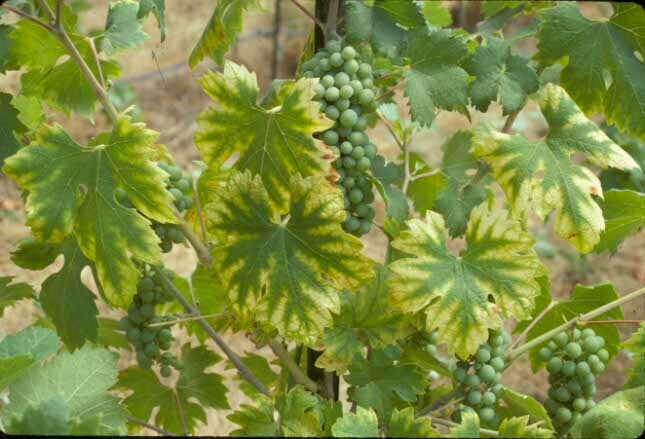 Early symptoms are chlorotic (yellow) areas on lower leaves. These spots expand to include the entire leaf, leaving the larger veins bright green. The affected areas become leathery and brittle. Stunting and fruit drop are common as the plant struggles. Before genetic testing, this condition was attributed to plant aging (senescence), nutrient deficiencies, or other diseases, such as cucurbit yellow stunting disorder. As the name suggests, this disease is spread by aphids. As aphids pierce plant tissue to feed on sap in the xylem, they infect the plants they eat. Once infected, the aphid will continue to spread the disease as it feeds. This disease can also be spread to lettuces, beets, and several weeds. Infected plants should be removed and destroyed, to prevent the disease from spreading to nearby plants.